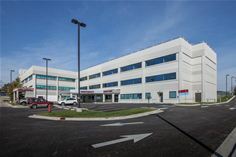 Woburn, MA – 18 December 2018 – Harrison Memorial Hospital (HMH), a provider of health and care services in Kentucky, recently completed a significant project to consolidate patient data from six acquired primary physician practices by implementing BridgeHead Software’s Independent Clinical Archive (ICA), HealthStore™. As part of its ambitious plans to expand its facility to a regional medical center, HMH not only made the decision to upgrade its primary MEDITECH EHR to version 6.15, it also acquired six regional physician practices. As part of those acquisitions, HMH also inherited six independent eClinicalWorks EHRs, each containing valuable, current and historic clinical information. HMH’s goal was to make all of the data from these systems available to clinicians and support staff as part of an enterprise patient record, through its primary Electronic Health Record (EHR), allowing it to standardize on the MEDITECH platform across the organization. The challenge was how to extract the data from the six eClinicalWorks databases and make it available as part of the longitudinal patient record easily accessible to clinicians and support staff through its MEDITECH EHR. HMH had been a longstanding customer of BridgeHead Software, utilizing its backup and recovery solutions to protect the hospital’s primary healthcare applications. However, after seeing a demonstration at MUSE International 2017 in Dallas, Texas, HMH was convinced that HealthStore would provide the solution it was looking for: namely, a centralized clinical repository to house data that was extracted, migrated and indexed from its inherited EHRs. The project was completed within six months and resulted in a single, enterprise-wide patient record offering a complete 360-degree view of vital patient information, as well as allowing HMH to retire the six inherited eClinicalWorks systems saving significant time, resources and money. The specialists at BridgeHead intelligently extracted, migrated and indexed 1.2 million documents from the existing eClinicalWorks databases in order to create a complete patient record. But, before the data could be fully ingested, BridgeHead worked with HMH to create rules to reconcile and resolve data issues, primarily where there were conflicting and duplicate patient IDs, by utilizing the patient database within HealthStore. Not only did this eliminate the laborious and time-consuming process of manually translating the records into the hospital’s EHR, it guaranteed that the extracted data corresponded with the correct patients. At the end of the process, 100% of the data was positively reconciled into HealthStore and made easily available ‘in patient context’ through the newly upgraded MEDITECH 6.15 environment. Martha Sullivan, CIO at Harrison Memorial Hospital continues: “Running duplicate applications across our new regional care center was never an option for us – it’s costly, inefficient, resource intensive – and, had we not faced the issue head on, the situation would have grown more complicated over time. Yet, the consolidation of multiple systems was not something we took on lightly.